I can’t believe it’s another New Year’s Eve. I wanted to give a super quick no-prep articulation option! Last year, I created these articulation hats. They use just one piece of paper to make a little party hat. 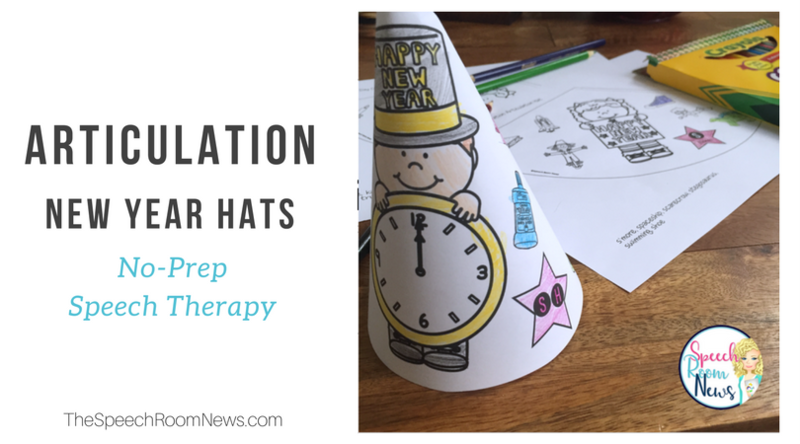 This download includes 17 party hats for articulation and phonology practice. 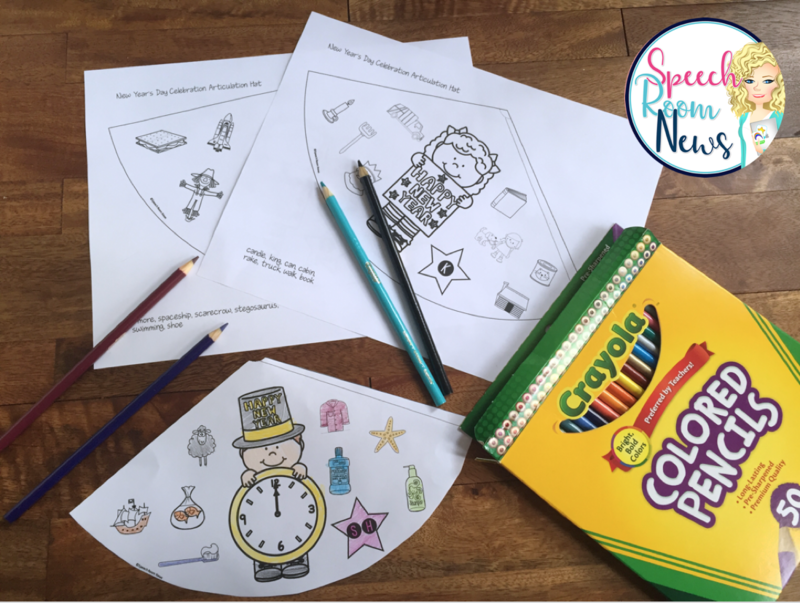 Each worksheet includes one hat with a speech sound and several target words to practice. There are 4 initial position words and 4 final position words targeted in each hat. Each hat features black and white line drawings so your students can color the hat before cutting and gluing it. One blank hat is also included to create your own activity. This print and go resource is a great way to start the year with no planning required! Head over to my shop to grab a copy.